Molly Roloff Bio, Married, Husband, Net Worth, Where is She Now? Home Actresses Molly Roloff Bio, Married, Husband, Net Worth, Where is She Now? Molly Roloff is an accountant, Spanish linguist, and actress who became popular for starring in Little People, Big World alongside her on-screen and real-life family members who are all diagnosed to be with dwarfism. Beyond her life on the television series, Molly has an interesting personality as well which will be a nice piece to read. Find out more about her, who she is married to and net worth below. The actress was born on September 17, 1993, in Oregon, USA, to Matthew Roloff and Amy Roloff. She has as her older brothers -Jeremy and Zachary Roloff while she is an older sister to Jacob Roloff who is the youngest of the four children in the family. In the family, Matt, Amy, and Zach are dwarfs, while Molly and Jeremy, and Jacob are of average height. Molly stands at a height of 5 feet 8 inches or 1.72 m.
While in high school, Molly Roloff was noted as being an exceptionally good student who did well to finish top in her class. After high school, she enrolled at the Whitworth University where she began studying Spanish and Accounting for which she earned a double major on her graduation. Her excellence in college wasn’t only where it pertains to her books, Molly played volleyball and was noted as one of the best athletes in her school. Thus, it can be said she was a balanced student; both academically and in athletics. Molly Roloff’s television career began on March 4, 2006, following her starring on her family’s TLC reality television series titled Little People, Big World. The show is basically centred on the Roloff family and how they live their daily lives. Molly starred in over 200 episodes before she was no longer seen on the show. Her absence has since got her fans and followers of the series asking questions about where she is and what she is up to at the moment. We will answer that question shortly. For the much we know about Molly Roloff, her career has mainly been on the television show and it is from it that she is assumed to have earned all that she is worth. With this, the reality television star has a net worth reported to be about $300, 000 while that of her father was given as about $4.5 million. Molly has begun a family of her own with her longtime boyfriend Joel Silvius. The lovely couple exchanged marital vows on August 6, 2017, under a 100-year-old oak tree which the television star used to play under as a child. This was at Molly’s family farm in Oregon. Looking back at how they started, the two were reported to have met on the set of Little People, Big World, took a liking to each other and what started as a mere friendship blossomed into a dating affair in 2010. Six years later, in December 2016, Joel engaged the TV star who subsequently broke the news on Instagram with a picture that showed her mum, herself and her engagement ring on her finger on December 22, 2016. 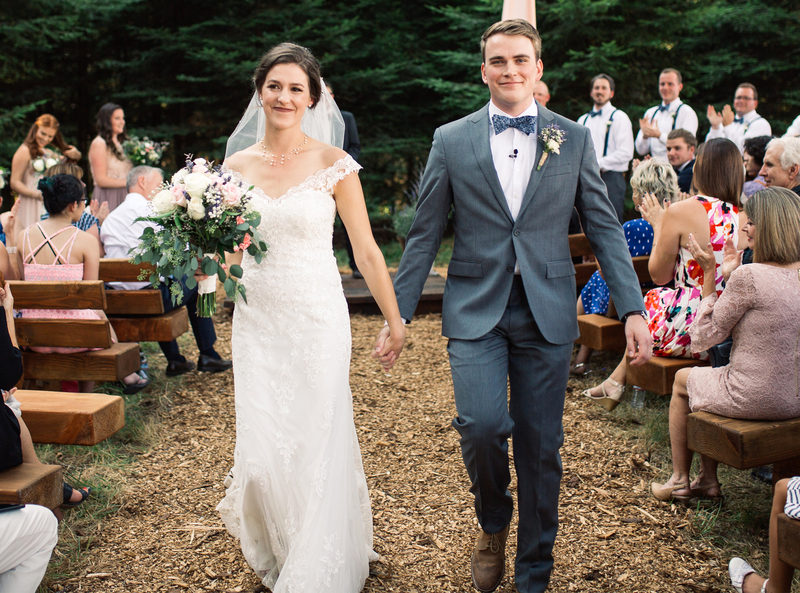 Their wedding was mainly attended by the Roloff family members and a few close friends who were invited to witness the celebration of love between Molly and her beau. In the course of time, there should be the cry of (a) baby/ies in their family and when that does happen, we will certainly serve you the details. Following Molly’s last appearance on the television show – Little People, Big World in the episode – Life’s About to Change in the year 2017, fans of the show, just as we did, began to ask questions about her whereabouts. Here is what we know – she left the show and began practising what she studied in college. Molly Roloff now works as an accountant in an accounting firm known as Moss Adams which is located in Spokane, Washington. Outside of her accounting job, the TV star is also being a doting better half to her heartthrob. It is not known whether or not she will return to the television series. For all we know at the moment, her accounting career is going on fine. Should Molly decided to return to the show, it will be a wish-come-true for many fans who are agog to see her alongside her family members once again.